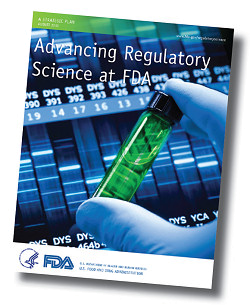 Given the high social and economic costs associated with late stage drug failures, FDA has been assessing the added value of computer modeling in regulatory decision making as a way of predicting drug safety and efficacy during drug development. A major effort in the Center for Drug Evaluation and Research is the development and use computer simulations to predict drug toxicity and to understand the mechanisms responsible for unexpected adverse events. Liver toxicity remains an area in which safety concerns continue to lead to drug failures across all phases of the drug development process. The FDA was involved in Cooperative Research and Development Agreement (CRADA) that led to the formation of the DILI-sim Initiative and the ultimate development of the DILIsym software platform. Currently, the FDA is participating in an early evaluation of the DILIsym software’s capabilities. A recent commentary published by employees of the FDA on the DILIsym software praises early examples of DILIsym use and comments on the prospect of future predictions. Another review paper including an FDA author provides an overview of DILIsym. Finally, a recently published book edited by an FDA employee includes a complete chapter on DILIsym.